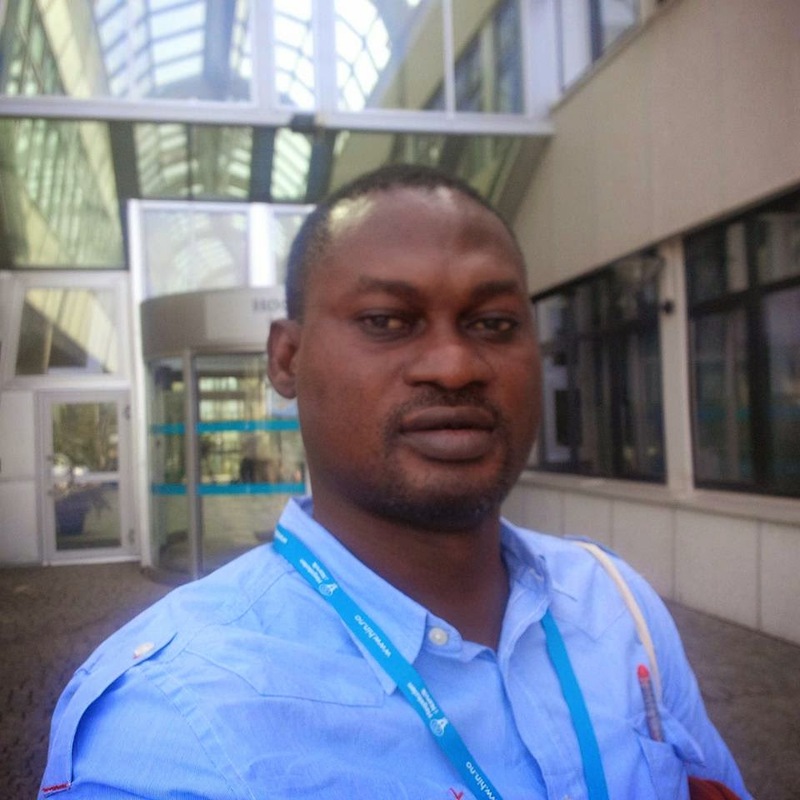 We wish to congratulate our very own man, Dr Yinka Adesina on his birthday. The entire OAU Peeps Crew and friends use this medium to pray God for you, long life, more prosperity and good heath. Many happy returns! We also want to use this medium to request your help at resolving the lingering crisis in our school. 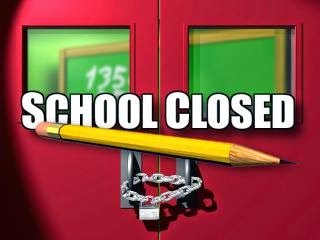 We want to resume back to school soon. Dr Yinka Adesina of the Department of Mathematics is currently the Deputy Dean, Division of Students' Affairs, Obafemi Awolowo University. Yes! Post-UTME is now over. Let all candidates that applied into OAU for the 2014/2015 admissions meet here. Let us hold our discussions here and update ourselves on latest developments. Previous cut-off points too will be discussed here. The Post-UTME for aspiring students of Obafemi Awolowo University for the 2014/2015 session has finally been held today as sheduled. The exam which drew over 20,000 persons comprising about 17,000 candidates and their guardians into the Campus went on without any hitch. Many of the aspirants who took the screening test who spoke to our various correspondents on Campus express satisfaction over the conduct of the exercise. They said they are happy to have completed every exams prior to their admission into the school and they remain hopeful that resumption will be soon. Notwithstanding, many of the candidates who spoke with us lament the toughness of the questions given to them. In her words, one Adebimpe said "the exam is too tough for somebody is just leaving Secondary school. I believe OAU sets her Post-JAMB to favour the Predegree candidates"
There's no doubt in the saying that "the foolish man seeks happiness in the distance,the wise grows it under his feet". Though I've clamored it several times that we shouldn't subject ourselves to any form of deceitful updates by anybody who calls himself/herself as comrade/advocate of the #OAUSAYSNO. Some people among us,till now,do find my updates incriminating to their personalities. "Don't you know that this good man,though you trip him up seven times,will each time rise again ?" -Proverbs 24:16. Revolutionary greetings to Great Ife Students. In the nomenclature of the Union to update students on the recent activities of the Union ever since the closure of the school, the following is the state of the Union. The last University Senate meeting held on Thursday,31st July to deliberate on issues of review of the fees, resumption, new calendar vis-a-vis registration, report of the last panel among other issues was inconclusive due to the acclaimed complexity of issues set before the Senate. To this end the Union would like to use this medium to inform the Great Ife community it maintains its openness to holistic dialogue on all issues such as review of the fees and late registration so as to ensure quick and enduring resumption of students back to campus. 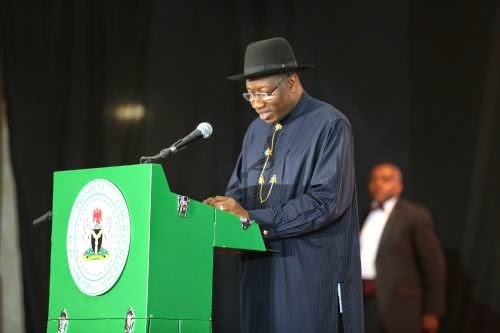 1.I welcome you all to this all-important occasion as we set out to demonstrate our love and care for those who have been affected by terrorism in our country. 2.At this point in time in our nation’s history, we have two clear choices before us. The first is to sit down and bemoan the tragic consequences of terrorism in our land. The second is to stand up and take action that will show that good will always overwhelm evil. By this fund-raising initiative, we have chosen the latter. We are reaching out with a cuddle of comfort and a show of support to our people. The hope of resumption of academic activities at the Obafemi Awolowo University may have suffered another blow after the Senate meeting on Wednesday failed to conclude on the re-opening issue. In similar tweets by the Association of Campus Journalists(ACJ) and some other OAU related private handles on Twitter confirmed the outcome of the Senate meeting. The professors argued that the students are yet to accept their wrong doings by going against the new fees regime. In ACJ's tweet about 24 hours after the meeting, it reads ''The #teamOAU senate Meeting held yesterday ended inconclusive." Also, OAU olofofo tweeted something very similar. Many reactions from the students have continued to trail the statement credited to the Senate as to the meaning the word ''Repented'' in it. It will be recalled that the citadel was closed on June 18 by the unanimous decision of the Senate following students demonstration against the hike in school fees. 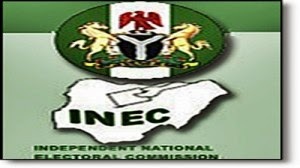 As parts of plans to ensure the Voters in the forthcoming governorship election in Osun state are not kept in the dark, the Independent National Electoral Commission, INEC educates voters on how to exercise their franchise come August 9. In INEC series of tweets via Twittter, it stated the Importance of Voters Card and also educates citizens on How To Vote. The Osun governorship election has been scheduled to come up on the 9th of August, 2014 in various Local Government Areas of the state. Reports just reaching us now has it that the People Democratic Party(PDP) Governorship candidate, Senator Iyiola Omisore for the August 9 Osun Poll has donated a new 14 Seater Bus to the OAU Students' Union. Speaking to the Students' Union PRO, Comrade Oludare Bamidele on phone, he confirmed the development. 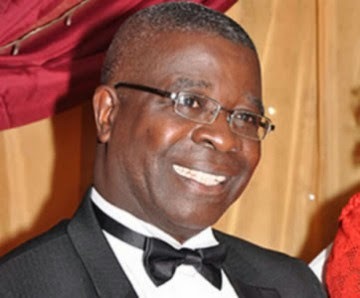 The Vice Chancellor of Obafemi Awolowo University, Ile-Ife, Professor Bamitale Omole, has urged Nigerian students and Nigerians to embrace E-learning if Nigeria must overcome problems of admission into universities and other related problems. Mr. Omole spoke at a press briefing in Lagos to mark the launch of an E-learning school – a multimedia technology that support electronic instructional delivery mode of lectures – by the Obafemi Awolowo University. “E-learning is a major answer to some of Nigerian University problems because with E-learning, you can be in your office or home and still learn,” Prof. Omole said. 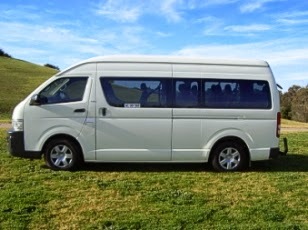 to also accommodate instalmental payment plan for those that cannot afford to pay at once. 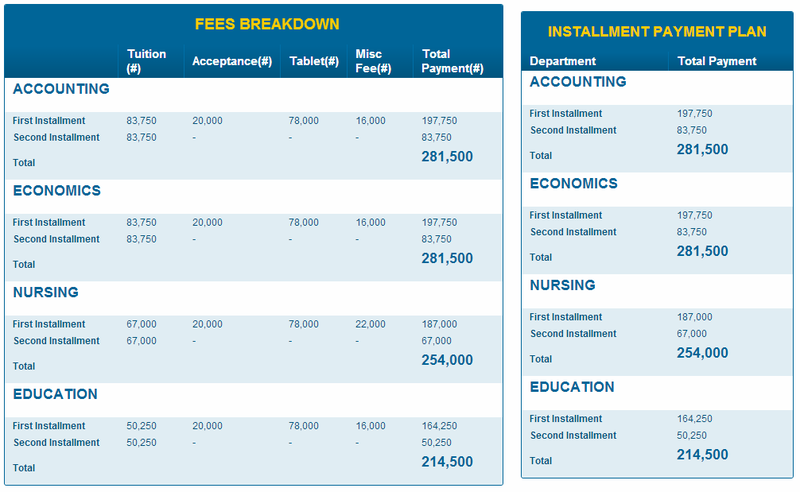 Check below for the fees breakdown and the Instalmental Payment Plan. We want to use this medium to wish all our esteemed Blog readers a happy new month of August. 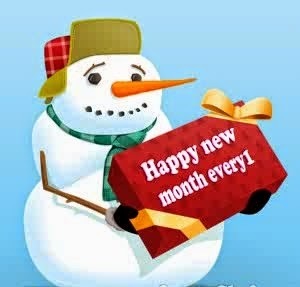 Our prayer for you is that this month will be the best of months so far in your life by God's grace. As for the aspiring predites, remember this month is very key in your life as you prepare for your forth coming entrance test. God will help you! We also wish our friends writing the Post UTME in the next 24 hours the very best of God. Muchas Gracias!!! 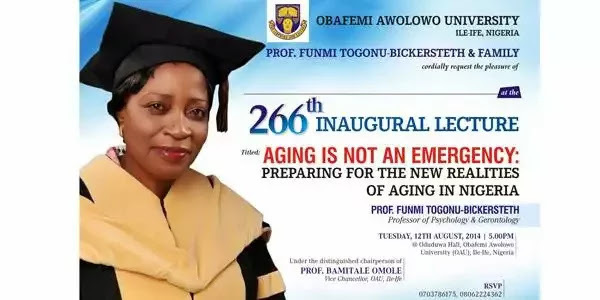 The University’s 266th Inaugural lecture titled “AGING IS NOT AN EMERGENCY: PREPARING FOR NEW REALITIES OF AGING IN NIGERIA” by Prof. Funmi Togonu-Bickersteth, holds on Tuesday, 12th August, 2014 at the Oduduwa Hall, by 5:00pm.Professor Funmi Togonu-Bickersteth is a professor of Psychology and Gerontology, Obafemi Awolowo University. BREAKING NEWS: Application Form For OAU 2014/2015 Predegree Programme Is Out! At last, The Application has started. Admission into the Pre-degree Programme 2014/2015 Session Applications are hereby invited from suitably qualified candidates for admission into the Pre-Degree Programme for 2014/2015 Session. Eligibility Eligible Candidates must possess minimum of 5 Credits in 5 subjects at a maximum of two sittings including English Language (for ALL Courses), Mathematics (for Science-based and Social Science-based Courses) and Literature-in-English (for Law). Duration The programme normally runs for two (2) contact periods both within nine (9) calendar months. The attention of the university community is hereby drawn to the detection of the deadly Ebola Virus Disease (EVD) in Nigeria.The highly contagious EVD which is currently ravaging some west African countries could easily be spread through contact with infected persons. The virus could also be transmitted to uninfected persons through contacts with bats. In view of the colonization of the university estate by migratory fruit bats, members of the University community and their dependants are hereby strongly advised to avoid all form of contacts with bats. Specifically, members are advised to avoid touching, holding or eating bats. It is also advisable to avoid pathways through which one may come intact with the faeces/droppings of the bats.Members of the community are advised to promptly and without delay report cases of sudden onset fever, muscle pain, general body weakness and any form of bleeding at the Medical and Health Services Centre for immediate attention. OAU Peeps News Agency is happy to announce to all Great Ife students that our recruitment exercise has finally started. 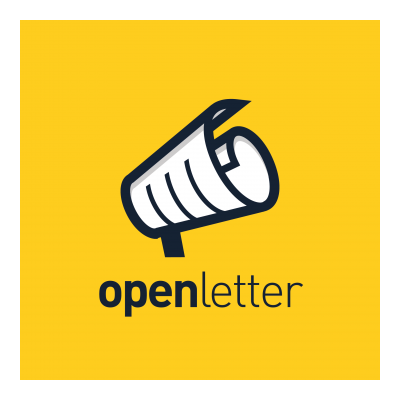 This massive recruitment will birth the Pen Pushers that will anchor this lovely Blog. 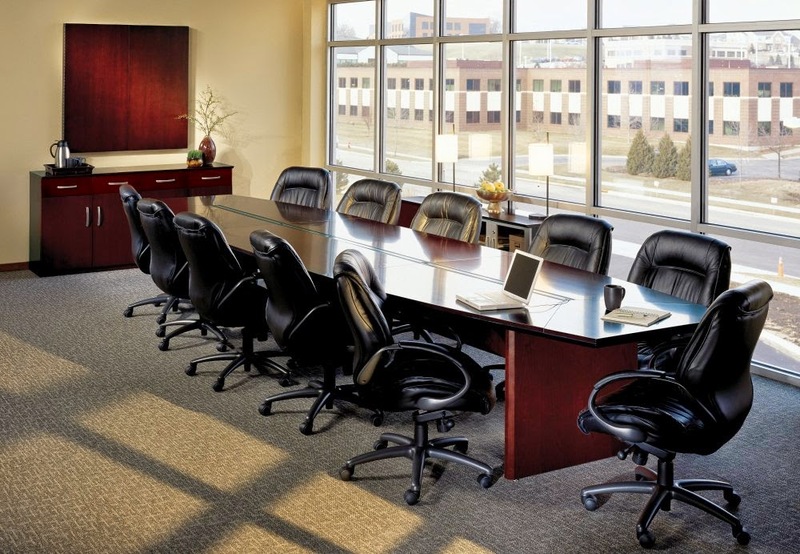 The recruitment exercise may not last as long as you may think because we have a fixed number of administrative members we can accommodate for this quarter. 2.) You must be passionate to affect the outfit. 1.) Opportunity to build up your writing skills and gather experience in the field of Journalism. 2.) You will be a certified and registered Campus Journalist under the ages of Association of Campus Journalist, Obafemi Awolowo University. 3.) Regular incentives to spur members to perform. 4.) Award of Excellence to outstanding Crew members. 5.) Opportunity to be a pioneering member of the Executive Team of the promising online News Agency. As we continue to receive numerous calls and messages from potential aspirants asking if the 'form' for OAU Predegree for 2014/2015 Academic Session is out, we want to confirm authoritatively to you that APPLICATION HAS NOT COMMENCED. 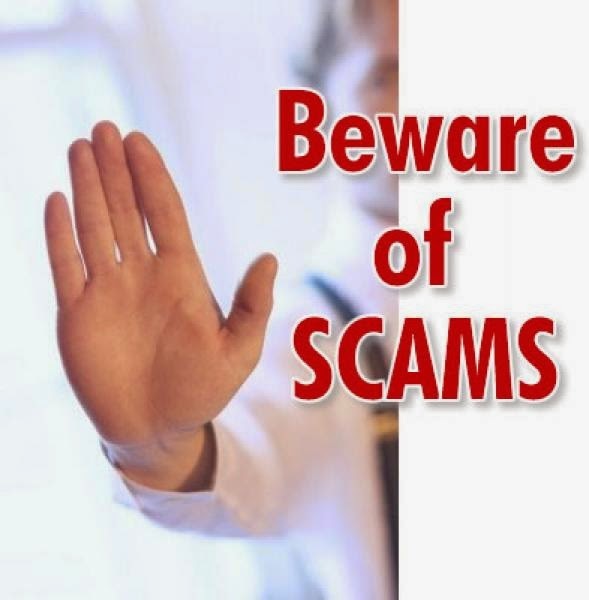 There are many fraudsters online & offline claiming application ends soon and telling you to send money urgently to a particular account number so that you can get it. All these are scams. A session of the programme just ended 2 weeks ago and there is no way application can start that soon. Moreover, Obafemi Awolowo University at the moment still have a deficit of two sessions, how then can they start to admit those that will be vying for the potential third so soon? We charge every potential aspirants not to be deceived by anything they see online stating application has started or it has closed. 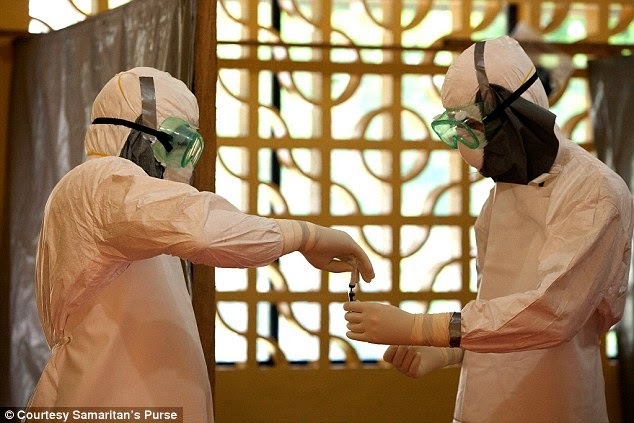 A man has been tested for ebola in the uk – increasing fears over the threat posed to Britain from the deadly disease. He was tested at a hospital in Birmingham after arriving back in the uk from nigeria via Paris. Fortunately the man was given the all-clear after tests, the Daily Mail reports, but the scare has sharpened focus on the possible spread of the virus to Britain. Meanwhile, doctors fear ebola victim Patrick Sawyer may have sparked a worldwide spread of the killer disease after being allowed on two flights while infected. And tonight a desperate race was on to find dozens of passengers who flew on the same jets as the 40-year-old American. British doctors and border officials have been warned to be on the lookout for people in the uk showing signs of the disease. Mr Sawyer was allowed to board an ASKY Airlines flight in Liberia, where ebola is rife, despite vomiting and suffering from ­diarrhoea. His sister was recently killed by the virus. It will be two months by August 17 since the students of Obafemi Awolowo University were sent home by the Management of the citadel over what was regarded as 'violent protest' from the students. However, many of the students despite their reposition homes still hold on to the view that the increment in school fees is not justifiable. 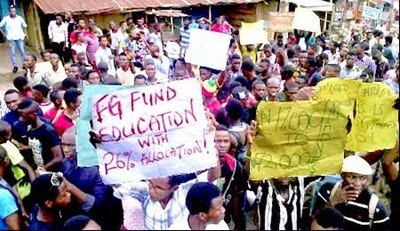 In an ongoing Poll on our Blog, www.oaupeeps.com, it is revealed that more students are still saying NO to the increment while very few are saying YES to it. Poll Result As At Wednesday, 30th July 2014, 12:46Your Position On School Fees Increment? All you need to do is to scroll this page down and you will see our Poll Section, Click on your choice and it is saved. If you are on a Computer, you have the Poll Section at the mid right of the homepage. NB: You can only vote ONCE as our system stores the vote attached to your IP. Like I have always said, Nigerian students are no dull brains, they are only handicapped by the non-working atmosphere and condition created for them. 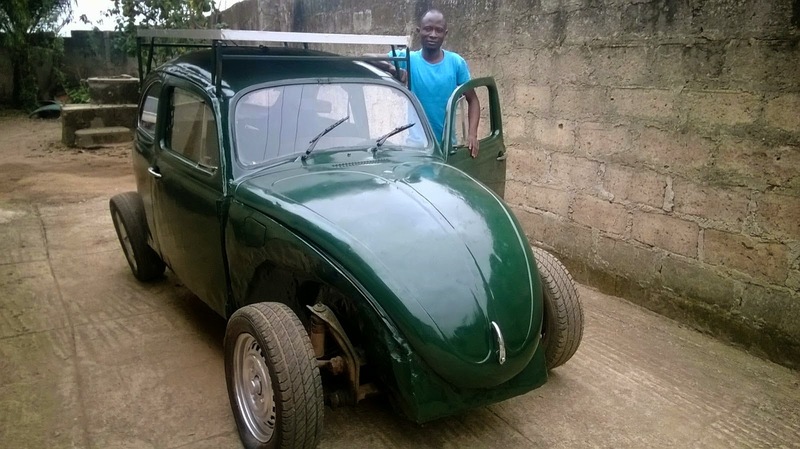 Here is a solar-powered vehicle built by Oyeyiola Segun, a Part 5 student of the Electronic and Electrical Department of Obafemi Awolowo University. In an exclusive interview with OAU Peeps News Agency, he explained how the car came into existence and the motivations behind it. OAU Peeps: Can we meet you sir? OAU Peeps: We learnt you built this lovely car. Was it a joint project or you did it yourself? Segun: I did it only. This is not a day’s job, I have been working on it for some months now. OAU Peeps: So how does the car work? 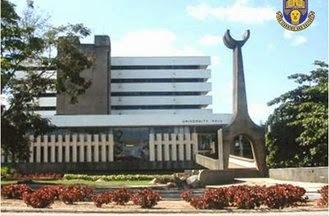 The latest University Ranking of the popular 4iuc.org parades Obafemi Awolowo University as the third best in Nigeria. The ranking means the initially rated best University in the nation dropped two places down. Occupying the leading position now is the University of Ilorin while University of Lagos occupies the second spot. OAU occupies the 26th position in Africa and the 2157th position in the World Ranking. 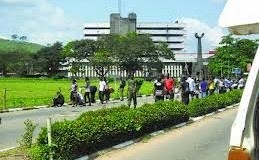 The backdrop in the performance of Obafemi Awolowo University in this ranking may not be unconnected to the recent closure of the University by the school authority following demonstrations by the students over increment in school fees which manyhas labelled 'Inconsiderable' and 'Outrageous'. Hello Honourable Isaac Ibikunle, I hope you are doing well. How is the business of student activism going? You must be proud of yourself now. Your popularity scale has increased immensely. The last time I searched your name on Google, I saw very interesting posts about you. From news about your protest where a former militant allegedly shot at students, to photos of the protests that led to the school’s closure.. Lest I forget, I love that photo of you I found on the internet, you wore a black suit and looked confident, the look of someone prepared to take over the world. 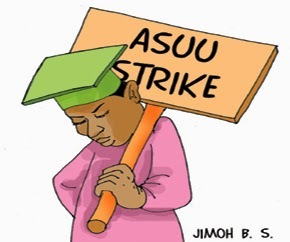 What may be coming to many as a breathe of solace is finally here as we can confirm to you without any shadow of doubt that the Academic Staff Union of Universities(ASUU) will not be going on strike any time soon. With just less than 12 days to the Osun state gubernatorial election, the Independent National Electoral Commission(INEC) has announced the names of the recruited.All candidates that applied earlier are hereby enjoined to visit the INEC office closest to them to check if they are considered for the job.As for students of the Obafemi Awolowo University that applied, you are to check a the INEC office in Ife Central Local Government Area. The PRO of the Students' Union reacting to this development promises to make the lists of shortlisted candidates accessible on OAU campus soon.The Osun Governorship election comes up on 9th August, 20, 2014. 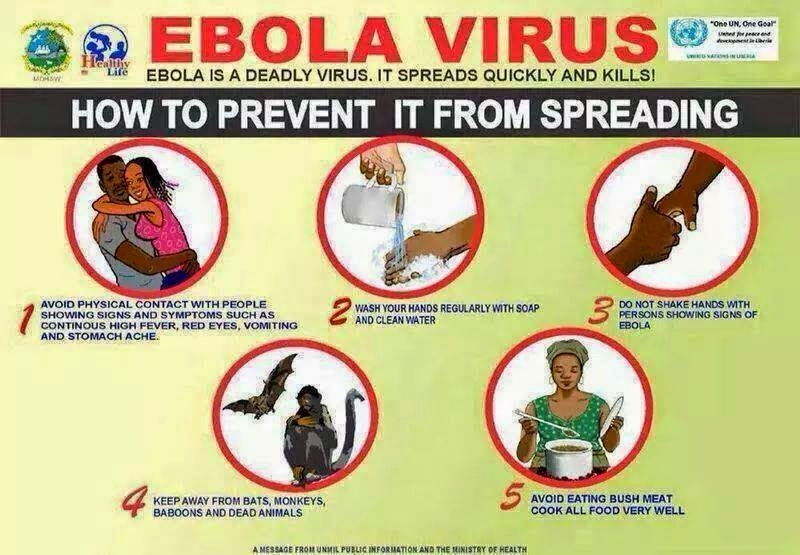 Ebola Virus Disease(EVD) , formerly known as Ebola haemorrhagic fever is a severe,often fatal illness in humans. The first outbreak of EVD was in 1976 - a twin outbreak in Nzara,Sudan and Yambuku,Democratic Republic of Congo. 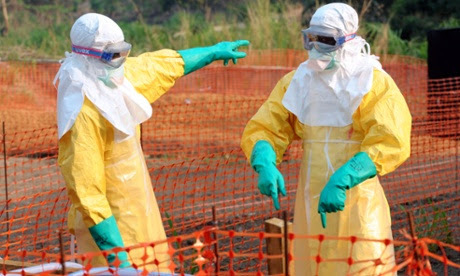 The largest outbreak as of 2014 is the ongoing ''2014 West Africa Ebola outbreak'' which is affecting Guinea,Sierra Leone,Liberia and Nigeria. EVD is caused by 4 of 5 viruses classified in the genus Ebolavirus,family Filoviridae,order Mononegavirales ; Bundigyo virus,Ebola/Zaire virus,Sudan virus and Tai forest virus. The fifth,Reston virus,commonly found in Philippine and China can infect humans,but no illness has been reported till date. EVD is believed to occur after an Ebola virus is transmitted to a human index. It's transmitted through direct contact with blood,secretions,organs or other bodily fluids of infected people. Ex-PREDITES: Now That Result Is Out, What Next? 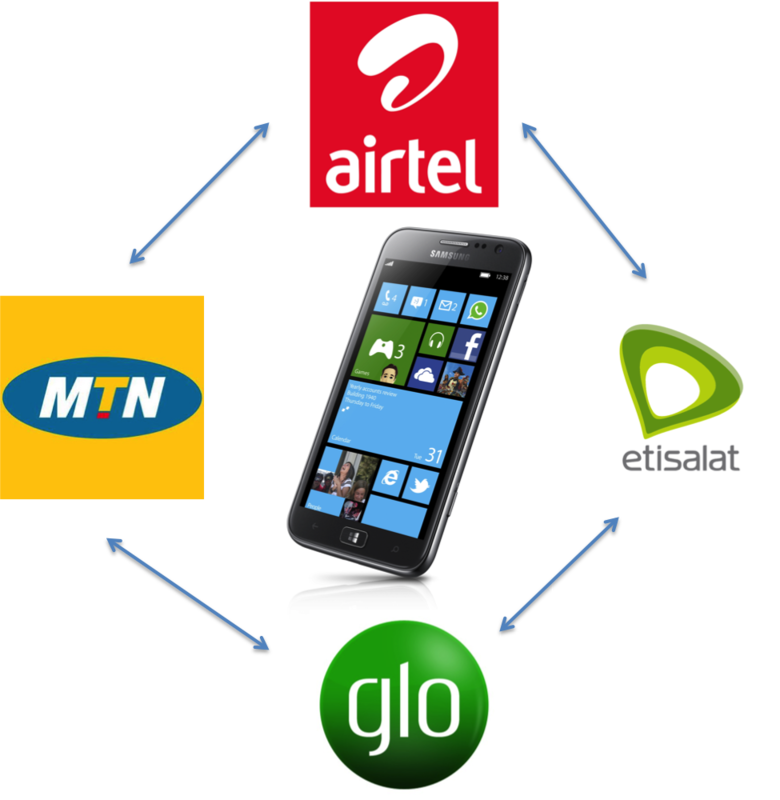 Countdown To August 2: The Needful!